United States EPA Approved Detergents. Store shelves are lined with bottles and boxes of laundry detergents shouting "Green", "Organic", "Natural". But are these really better for the environment? The largest problem ingredients for the environment in laundry detergents are phosphates and some surfactants, mainly nonylphenol ethoxylates or NPE. Phosphates were banned from United States-produced laundry detergents in the 1970s so they are not a severe problem. Surfactants, which help soil to float away from garments, form a micelle which surrounds the piece of dirt and carries it away. The micelle are toxic to fish because they get into the fish gills and impairs their ability to get oxygen from the water. The largest detergent manufacturer in the United States, Proctor and Gamble (Tide, Gain) stopped using this nonylphenol ethoxylate surfactants several years ago and phosphates have been banned in laundry detergents for many years. Other environmental concerns are the chemicals in detergent that are derived from petroleum and the impact of plastic packaging. Most major manufacturers now use containers that can be recycled and often contain post-consumer recycled plastic. Even knowing which chemical compounds to avoid can be difficult because they are seldom listed on labels. While some manufacturers list every laundry detergent ingredient on the label, most do not because it is not required by law. However, with a little effort, you can visit each manufacturer's website to view a list of complete ingredients. That's where the EPA Safer Choice logo becomes extremely helpful. When you see that designation, you know that you're buying an environmentally friendly product. The EPA also provides a Safer Chemical Ingredients list on the Safer Choice website to help you with comparison research. You can also select a detergent without added dyes and fragrances to reduce chemical exposure for your family and the environment. In the early 2000s, the United States Environmental Protection Agency (EPA) introduced a program called Design for the Environment to let us know which products live up to their claims. One of the products that was included in the program was laundry detergent. The agency asked manufacturers to provide a complete list of ingredients. If the company was using the safest chemical for each type of ingredient, the product earned a special designation. If the product was not environmentally friendly, the EPA encouraged the company to reformulate the product. The Design for the Environment Seal was awarded to laundry detergents that met EPA requirements as both good for business and the environment. As more than 2,000 diverse products qualified for the program, the EPA branding and labels were changed to the Safer Choice program. Products with the Safer Choice label identify products with safer chemical ingredients for the environment that consumers can use without sacrificing quality or performance. 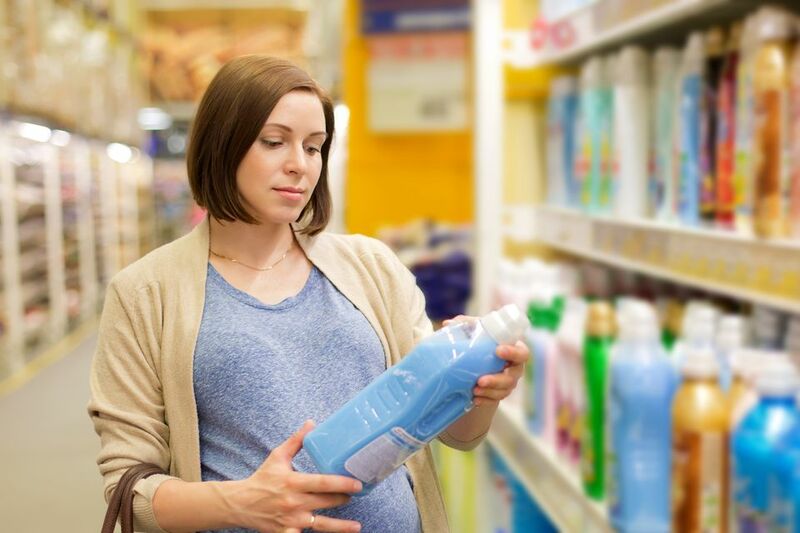 The Safer Choice program offers a list of safe cleaning products on its website ranging from all purpose cleaners to hand soaps to laundry detergents, fabric softeners and boosters. You'll see that only a few laundry detergent brands are listed. This does not mean that all others are "bad". Applying for certification is currently voluntary. As more manufacturers reformulate a safer cleaning product and performance testing, additional detergents will receive the designation.